Pregnant? Time to Visit Your Dentist. Are you pregnant or planning to have children soon? Now, more than ever, would be an ideal time to visit your dentist. The American Dental Association recommends that all expectant mothers receive dental care and maintain good oral hygiene throughout their pregnancy. Pregnancy is a crucial time to maintain oral health as it is directly related to you and your baby’s overall health. Dental issues have been linked to premature delivery, gestational diabetes, intrauterine growth restriction and preeclampsia. But even with your current, normal dental care routine, some expectant mothers will be more prone to developing oral problems. One of these is called pregnancy gingivitis, which happens to cause inflammation of the gums that can cause excessive bleeding and tenderness. To avoid more serious forms of the disease, your dentist may recommend more frequent cleanings during pregnancy. Also while pregnant, many women can accumulate more tooth decay and cavities. And because morning sickness can increase the amount of acid your teeth are exposed to, your enamel can diminish and cause even further damage. Lastly, some women experience overgrowths of tissue on their gums. These are called pregnancy tumors and they usually occur during the second trimester. These red, raspberry looking growths are not cancerous and are thought to be related to too much plaque. Usually they will disappear after delivery. Although things like sensitive gums and a strong gag reflex can discourage women from brushing twice a day, it’s important to stick with a good oral hygiene routine, including regular dental exams. 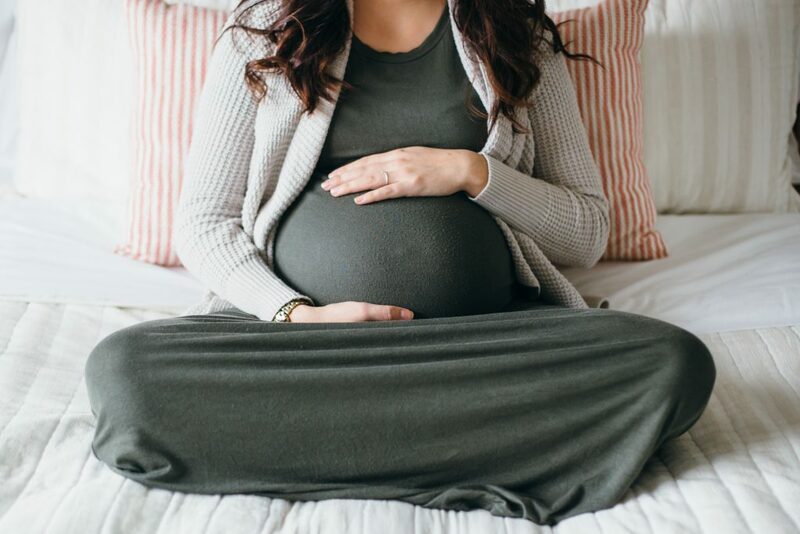 So schedule your next dental visit, and be sure to let your dentist know you are pregnant as treatments may be postponed until after your pregnancy. Here is to a happy, healthy pregnancy.